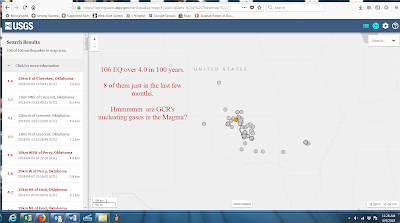 106 EQ over 4.0 in 100 years. 8 of them just in the last few months. 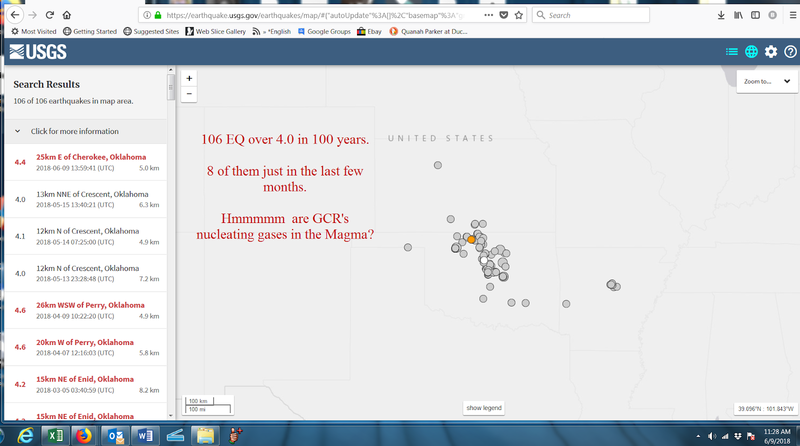 Hmmmmm are GCR's nucleating gases in the Magma? disaster. 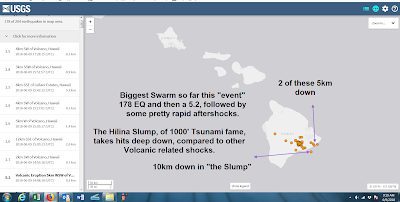 The Hilina Slump has in the last century, created 60' Tsunamis locally that threw 9 foot Tsunamis at parts of California. What would a 1000' Tsunami do to California, say being 150' hitting California. 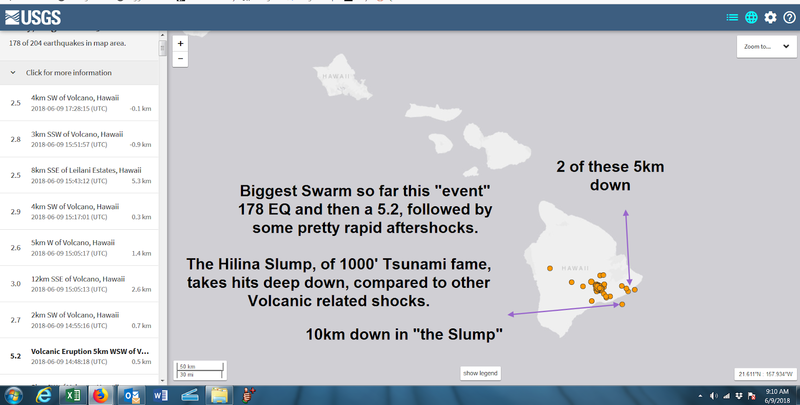 Biggest Swarm so far this "event" 178 EQ and then a 5.2, followed by some pretty rapid aftershocks.